Brits going abroad may well dread the whole process of getting our passports renewed, with everything from the passport photo to the cost causing us anxieties. But there is one thing we dread even more when it comes to our passports – and that’s losing them. It’s the moment we all fear. We’re packing up to go home from holiday or a business trip, we look for our passport so we can put it in the handy pocket ready to present several times at passport control and at the airport on our way home, and we can’t find it. We turn the whole room upside down, empty every drawer, look under the bed and ask at the hotel reception, but it’s not there. So what should we do in this situation? You need to spring into action, and do two things immediately. Firstly, if you suspect your passport has been stolen, you need to contact the local police right away. Passport theft is a serious crime, and any criminal in possession of your legal identifying documents needs to be stopped, for international security as well as for your own. When you report your passport missing or stolen, it will be ‘cancelled’ and can’t be used by anyone else. Secondly, you need to get an emergency travel document, otherwise known as an emergency passport. This is a document that works in place of your passport, with very restricted guidelines, and can help to get you home. 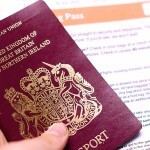 You can get an emergency passport at your nearest British Embassy, Consulate or High Commission, which you can find by visiting www.gov.uk/fco. Once you’re there, they can provide you with your emergency passport, or they can tell you where to go to get one. You’ll need a few pieces of documentation, so call ahead and find out what they need you to bring. Once you have your document, you’ll be able to use it to get home, or to the country you’re headed for, via a maximum of five other countries on the way. You’ll need to stick to your itinerary as provided to the Embassy, and you’ll need to complete the journey within a narrow timeframe as specified at the time you applied. We hope you never need to know this, but now you do, so spread the word among friends and family – just in case.